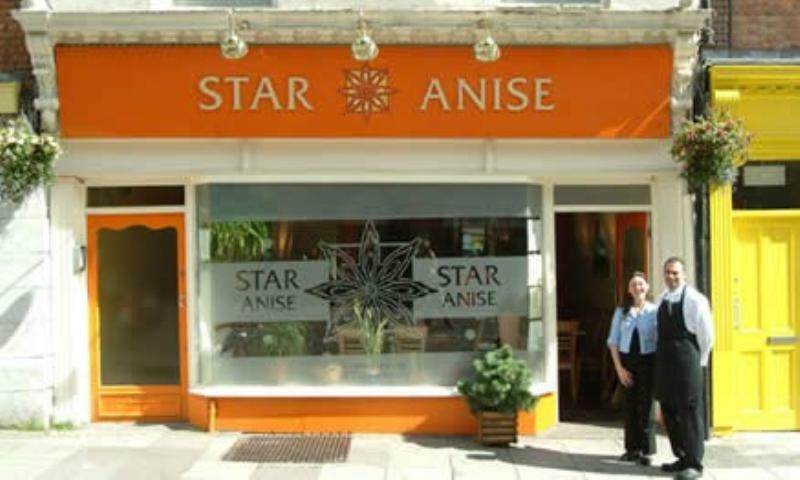 Virginie Sarrazin originally from Lyon in France opened her cosy Star Anise restaurant in 2002 on the aptly named Bridge Street in Cork, located close to the bridge over the River Lee. The dining room has clean lines with well-spaced polished wood tables and chairs, exuding a warm contemporary feel. The kitchen's menus are based around sound local ingredients with a focus on seasonality. Amongst the starters look for Star Anise seafood chowder with salmon, smoked haddock, mussels and prawns, before a main course of pork tenderloin stuffed with Jack MacCarthy's black pudding and apples, wrapped in prosciutto, served with potato and sage rosti and mustard and Calvados cream, or fritto misto, tiger prawns, squid, fish, spring onion and fennel coated in rice flour, fried and served with red chilli and lemon aïoli and green salad. There are classic French desserts to finish in the shape of Poire Belle Hélène or crème brulée.